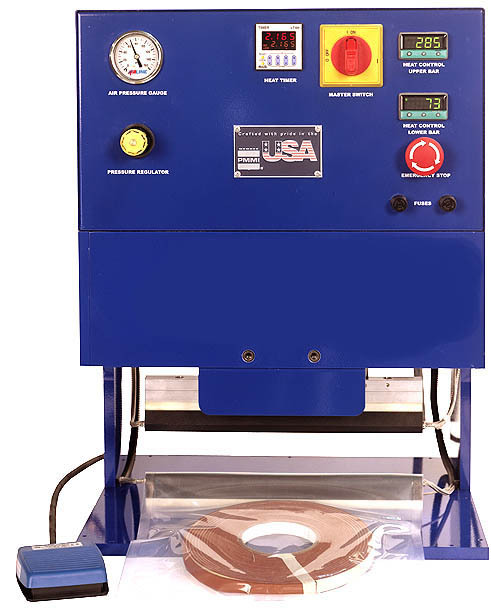 Aline model HDCH Heavy Duty Constant Heat Sealer is ideal for laboratory testing of thermoplastic and laminated materials. Each unit is available with a bar sealer, heat platen or machined tooling for contour shapes. 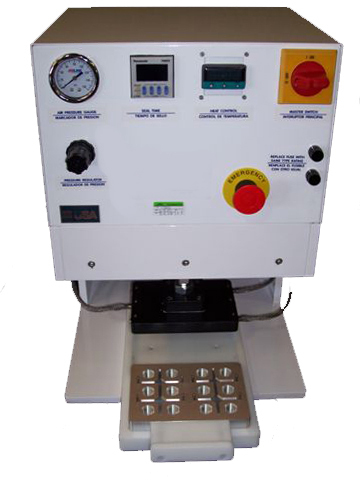 Standard features include pressure regulator and gauge, a variable timer, digital temperature control and a low-pressure safety descent. All construction is heavy duty for high pressure sealing applications. Powder coat finish makes the HDCH clean room compatible. 110 or 220 Volt is available. Each model can be customized to your specific size and application. Included with the machine is a detailed operating manual, spare parts kit and a ONE YEAR WARRANTY.